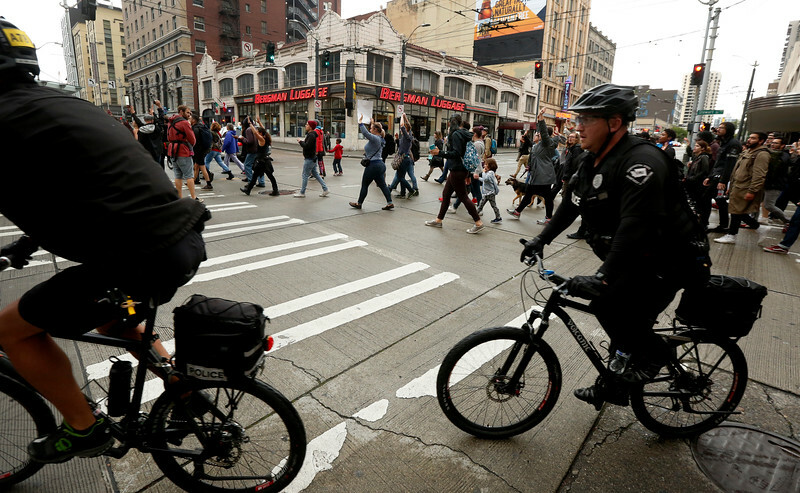 Officers from the Seattle Police Department ride alongside protesters during a protest in downtown Seattle, WA on July 7, 2016. 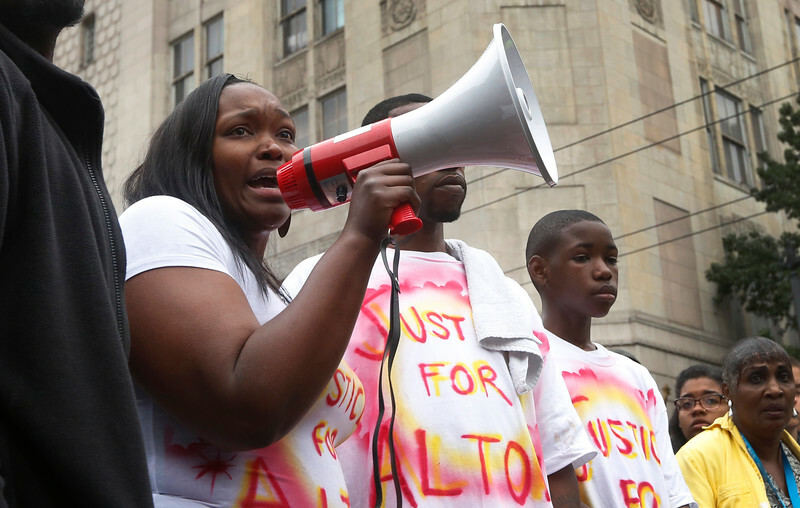 The protest was a reaction to the killing of Alton Sterling, 37-year-old black man, by two Baton Rouge police officers outside a convenience store in Louisiana two days earlier. 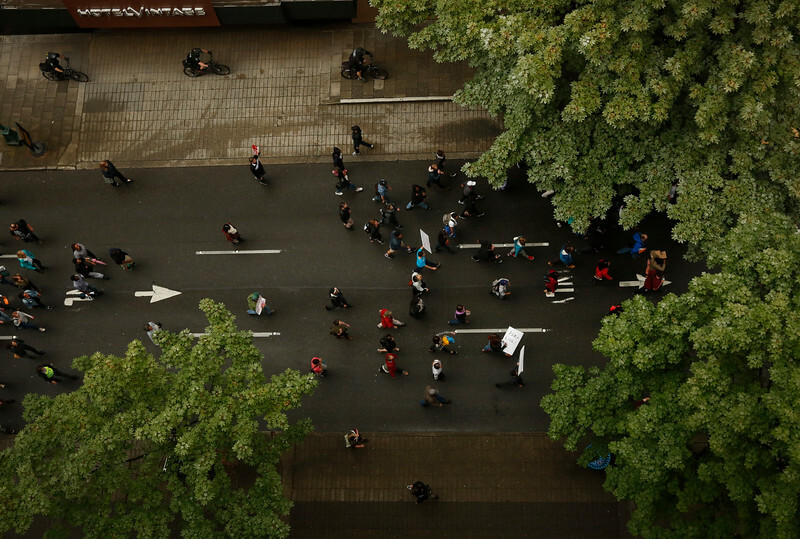 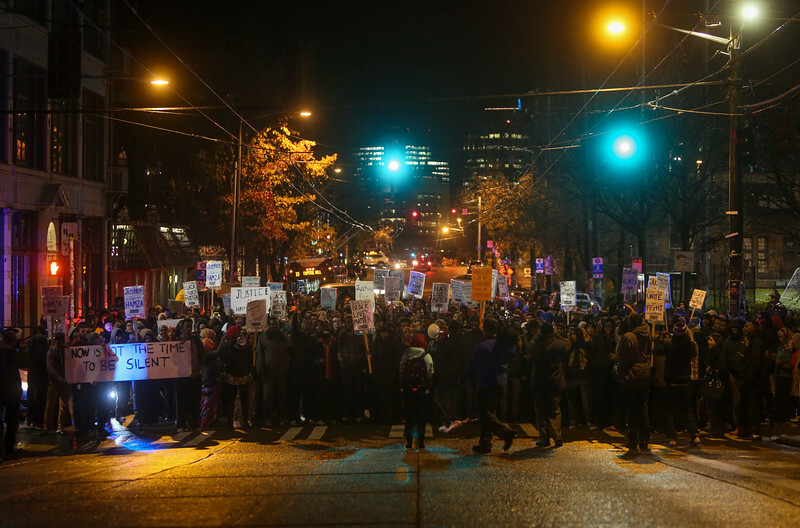 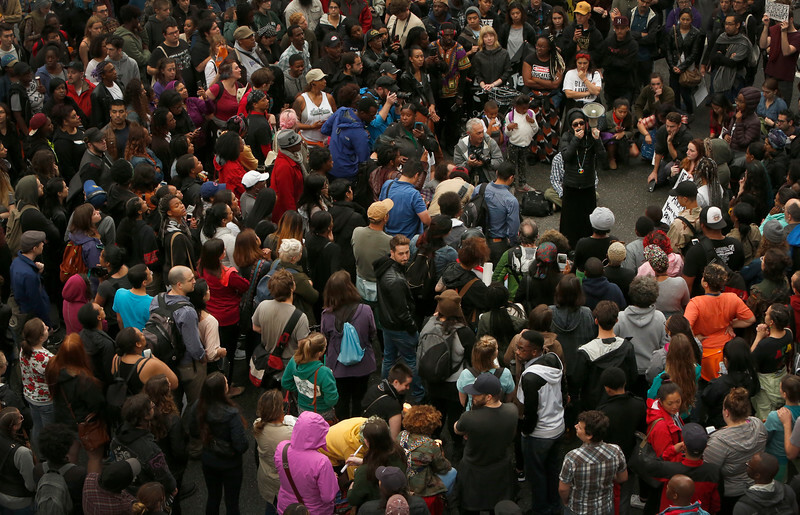 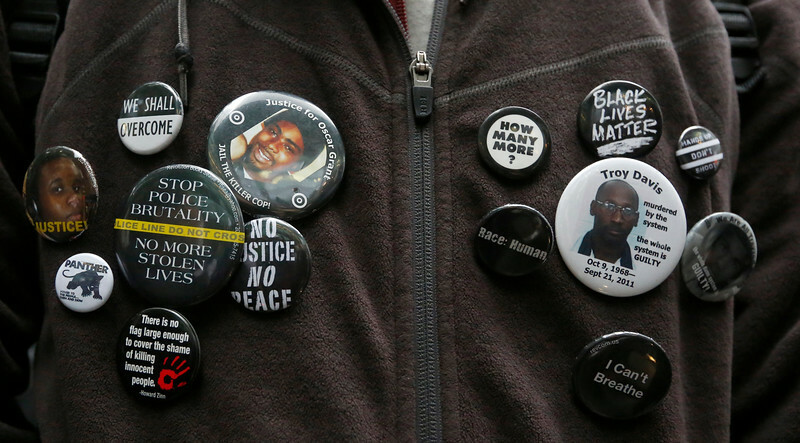 Protesters walk down the street in downtown Seattle, WA on July 7, 2016 after the killing of Alton Sterling, 37-year-old black man, by two Baton Rouge police officers outside a convenience store in Louisiana in two days earlier. 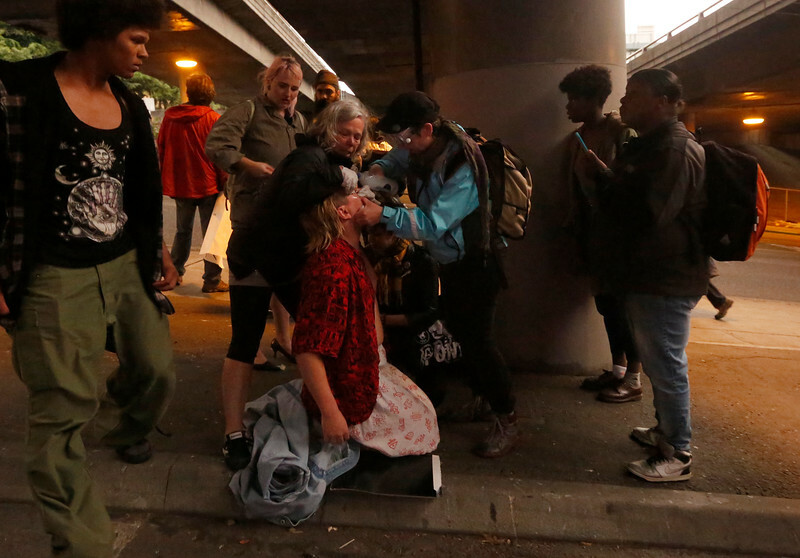 Protesters give aid to a man that was hit by pepper spray during a protest in downtown Seattle, WA on July 7, 2016. 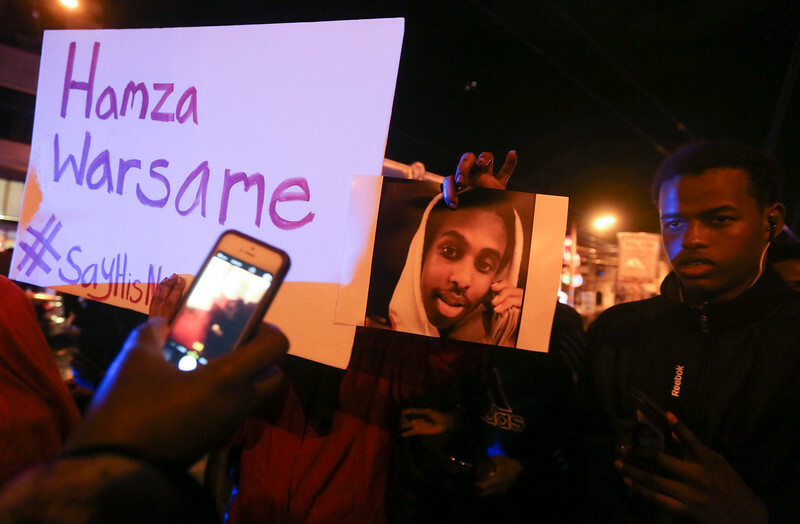 The protest was a reaction to the killing of Alton Sterling, 37-year-old black man, by two Baton Rouge police officers outside a convenience store in Louisiana two days earlier. 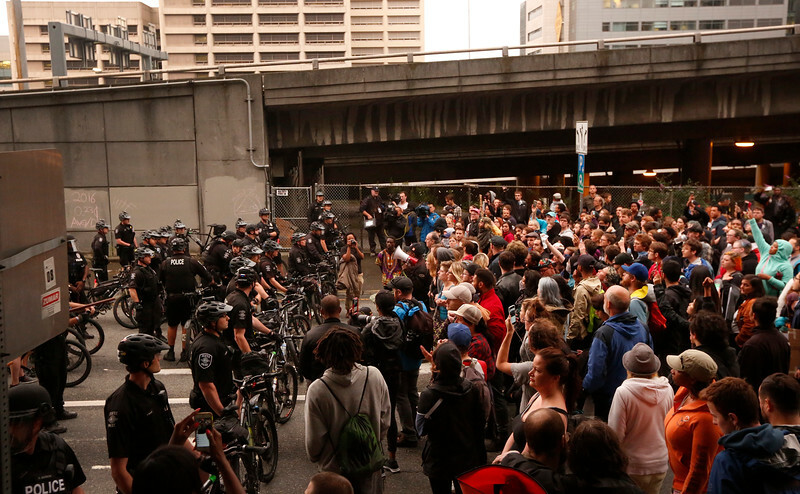 Protesters gather at the entrance to I-5 during a protest in downtown Seattle, WA on July 7, 2016. 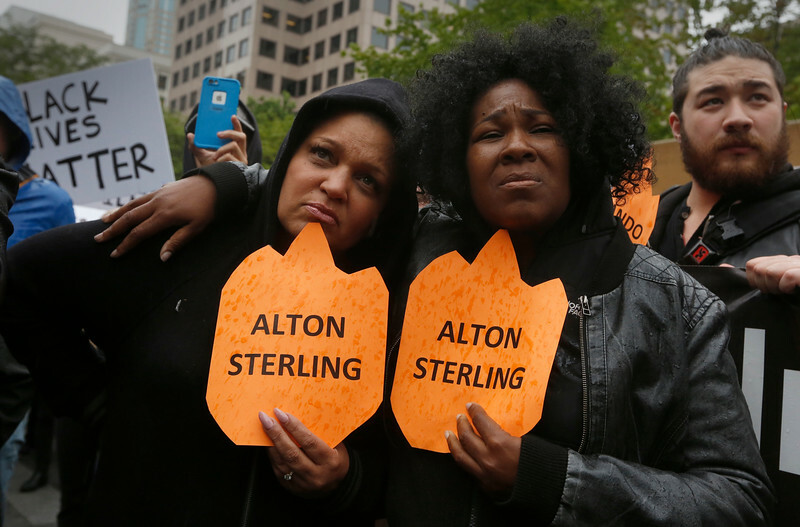 The protest was a reaction to the killing of Alton Sterling, 37-year-old black man, by two Baton Rouge police officers outside a convenience store in Louisiana two days earlier.